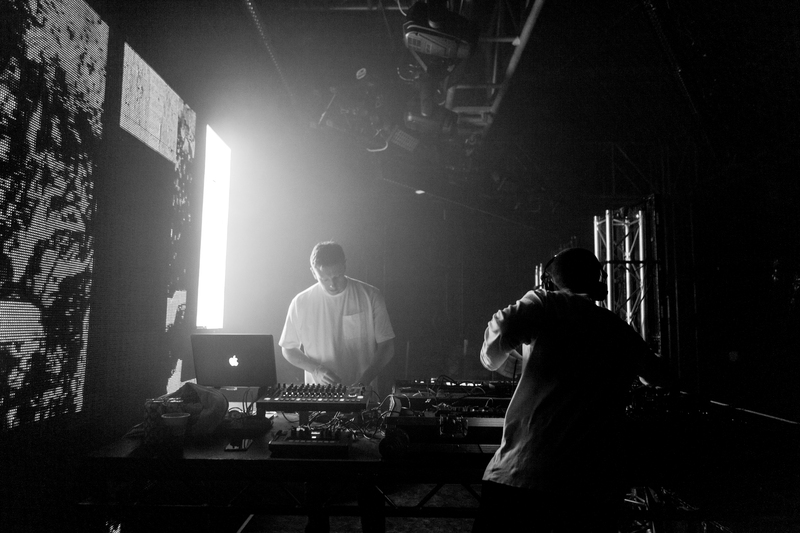 Teaming up with Manchester International Festival, Warehouse Project welcomed Belfast- born electronic duo and childhood friends, Bicep, to Manchester over the weekend for a spectacular live set…. Lurking in the depths just a stone’s throw from Manchester Piccadilly Station lies the seemingly derelict ex-Mayfield Depot. Permanently closing its doors to railway passengers in 1986, the abandoned station remained empty for decades. After years of abandonment and failed proposed development schemes, it was finally given the new lease of life that it deserved in 2013 by Manchester International Festival… this time returning as a live music venue. 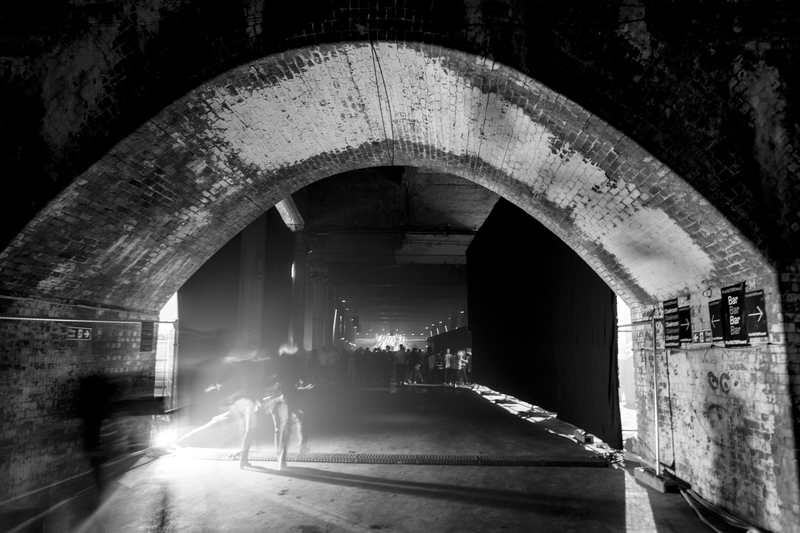 Despite the roaring nightlife scene Manchester has to offer, as a lifelong resident of the city I have never feel excitement quite like what I did when I stepped foot in Mayfield Depot over the weekend. With a 7000 capacity, immense arches and a vast area of space to explore (not forgetting the room dedicated to street food stalls), the venue in itself is rich in character. Infact, it’s bizarre that this abandoned station is only recently coming to the forefront of Manchester’s nightlife scene in 2018. Combining the excitement of a relatively new venue with a rare live set from Bicep was almost too much to handle for some ravers. 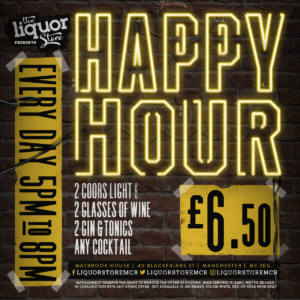 With doors opening at 7pm, punters were packing down the pints in local bars and pubs early in the afternoon across the city centre in anticipation for this historic highlight of the WHP18 calendar. Whilst the venue started to teeter towards capacity, crowds were met with the futuristic and atmospheric synths from live support acts. Although the acts were carefully hand-picked the crowd seemed a little uncertain on how to react to the mellow tunes- especially with breaks in-between each artist. Non-the less- all efforts were appreciated as they were met with a rapturous applause following each set. Soon, the hustle and mumbling chatter from the audience grew into a radiant cheer before Andy Ferguson and Matt McBriar took to the stage. Both stood behind a pair of decks opposite one another, their live set consisted of seamless mixing and copious amounts of incredible improvisation- with the tracks sounding far from the studio versions. Bringing together disco and techno with hints of 90’s dance music weaving throughout their set, Bicep dominated Mayfield Depot with the crowd in the palm of their hands. Combined with and animated laser light show, the show radiated ‘feel-good’ vibes with ravers, both young and old, appreciating the talents of the duo. Of course, returning to an encore of ‘Glue’, Bicep cemented the importance of the rave scene and they show no signs of slowing down anytime soon.